The 1950’s were a transitional era for aerospace technology. World War II had accelerated the development of piston engines and propeller driven aircraft to the absolute peak of their performance. The 1940’s also introduced reasonably reliable jet engines. By 1950, the rapid development of jet power (fueled by a fear of communism) outpaced even he recent explosion of propeller development. Aircraft types were designed, tested, produced, and retired in less than a decade. In this age of massive research and development expenditures, nothing was too insane for the Department of defense to consider. Not even the madness that was Project Pluto, the development of nuclear powered ramjets. 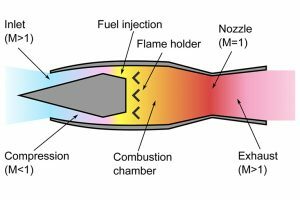 Jet engines work by mechanically compressing air and inject that air with burning fuel. The rapid expansion provides thrust. Ramjets work the same way, except there is no mechanical compression. Air is compressed by the shape of the inlet and the aircraft speed. Change the burning jet fuel with an unshielded nuclear reactor and BANG! You have project Pluto. The testing was to take place in the appropriately name Jackass Flats. Parts were manufactured by Coors Ceramics (Yes, that Coors family). You can picture the men in lab coats smoking cigarettes reading blueprints, can’t you? The projected use for this engine was to be the Supersonic Low Altitude Missile, or SLAM. Nickname the Flying Crowbar, this monster was designed to be boosted to speed and altitude by rockets, then the reactor takes over. 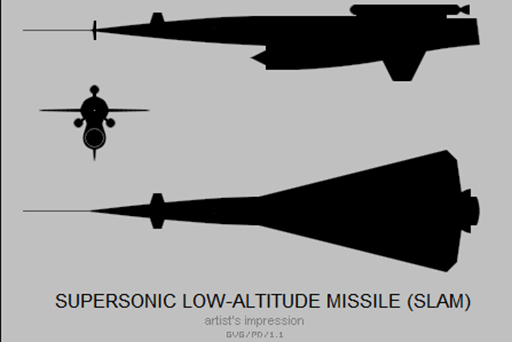 Penetrating Soviet airspace below 1000 feet, anyone not killed by the shockwave of this supersonic missile will be doused with radiation from its engine. It would literally leave a wake of destruction before unleashing any of its several hydrogen bombs. The weapons were designed to be lobbed upwards, buying time for the SLAM to get a safe distance away and closer to its next target. After the introduction of ICBMs in the late 1950’s, the need for the SLAM was dwindling. Eventually, the DoD decided to drop the program. A weapon that couldn’t be flight tested due to the radiation and that posed as much of a threat to allies as it did the enemy was too much. By 1964 it as all over. The project was shut down after spending hundreds of millions of dollars on a weapon’s system that was insane even by Cold War standards. 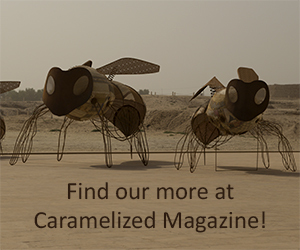 Links for more reading: Fourmilab, The Black Vault, Ralph Merkle, Seattle PI, and Wikipedia.